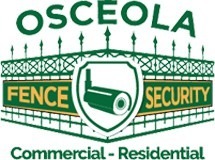 Osceola fence company in Chicago has been in business since 1975 and formed into a corporation in 1986. Throughout the history of the company, Osceola Fence has been family owned and operated. We have been proudly serving customers from the same location since 1985. Most of our business comes from repeat customers and referrals. We provide the following installations and repairs: Iron Fences, Railings, and Window Guards As one of the top fence companies in Chicago, we specialize in ornamental iron fences, railings, and custom window guards. All of these are manufactured in our local fence shop, according to the specifications ordered for each work site or drawing. Chain Link Fences Osceola Fence builds and installs custom chain link fences. Additionally, we install cantilever sliding and sliding industrial doors. Wood Fences We install custom-made western red cedar wood fences, built on-site by crews to ensure proper spacing (no prefabricated panels, with the exception of stockade design). Vinyl Fences We provide various styles of vinyl fencing with a warranty on material and workmanship that includes fade protection. Cameras, Intercoms, and Automated Security Gates We also specialize in the installation of automatic gate operators to operate either through entry-level systems of key cards, intercoms, or telephone access. Osceola Fence has a total liability insurance coverage for our clients. We find that our coverage meets all the subcontracting requirements of our accounts and we will be happy to provide you a copy of this at your request. Get to know our professional team members today! For more information about our fence installation services in the greater Chicago area or to schedule an initial consultation, contact our trusted professionals. We are available via our web form or call us directly at 773-278-4762. Osceola Fence Company is a fence supply and installation company serving homes and businesses across Chicago, Oak Park, Cicero, Berwyn and surrounding cities.